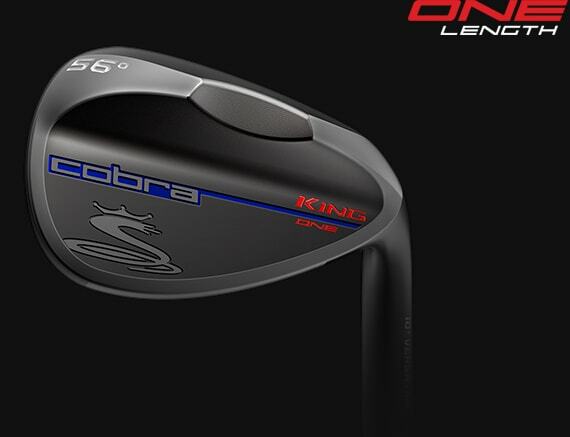 COBRA's most precise wedge is back in black featuring an all new DBM (Diamonized Black Metal) finish that provides the ultimate in durability. The KING Black wedge comes in a variety of loft, bounce and grind configurations to suit a wide range of playing abilities. 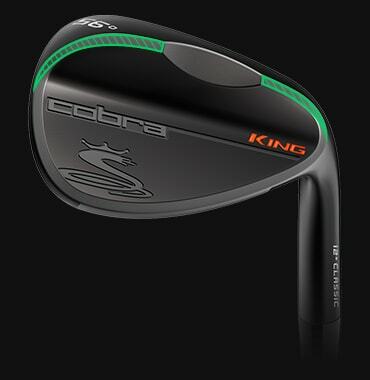 COBRA offers the ideal wedge design that caters to specific swing types, course conditions and playing styles. Featuring tour validated grinds and shaping, a soft 8620 carbon steel body delivers superior feel and spin performance. The unique DBM black finish delivers glare resistance, professional looks and extreme durability demanded by the best golfers. 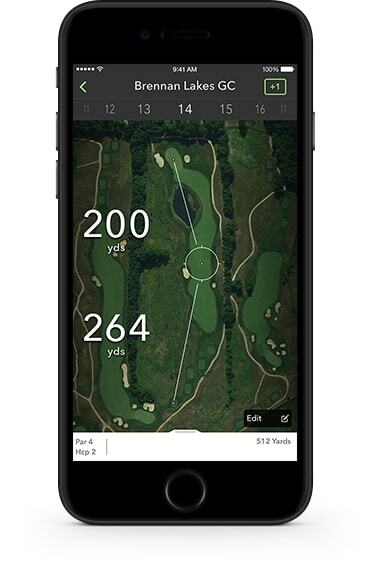 FIND THE WEDGE THAT FITS YOUR GAME. 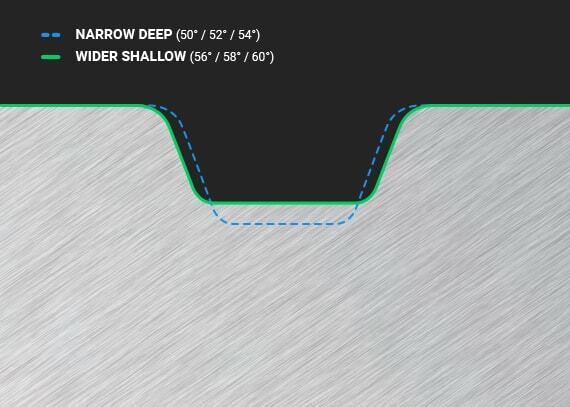 Optimize performance out of every turf condition with the proper bounce and wedge grind configuration. 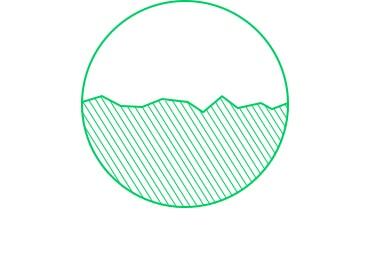 Rough, wet grass and bunker conditions require a wedge with higher bounce or a wider sole to prevent digging. Found in normal fairway and bunker conditions that are versatile enough to be played using a variety of wedge bounces and grinds. Tight fairway and bunker lies require a low to medium bounce wedge to help you make solid contact without catching it thin. 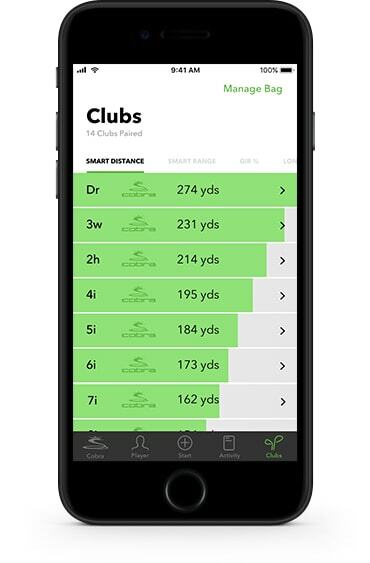 Promote more consistent contact by selecting the perfect wedge design that is tailored for your swing type. AKA "The Digger" has a steeper, more aggressive attack angle that creates deeper, longer divots to produce lower trajectory and wedge shots. A neutral attack angle is seen in the average golfer and produces medium sized divots with normal depth. 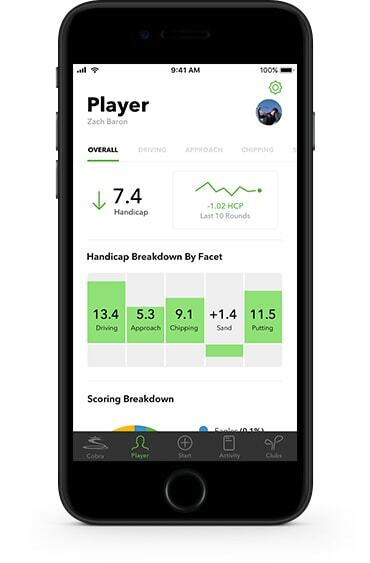 AKA "The Slider," this player prefers to create smaller, shallower divots that allow for more versatility and better control over a variety of wedge shots. 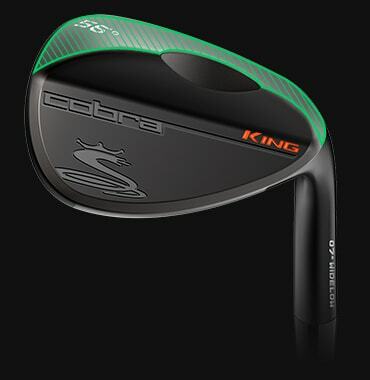 COBRA offers a selection of three unique wedge designs to fit every swing type, course condition and playing style. An excellent all around wedge for shots out of soft to medium turf and bunkers. The combination of a wide sole and low bounce prevents the leading edge from digging to maintain consistent trajectory and spin. Classic lofts, thinner soles and higher bounce combine to provide optimal performance from a variety of different turf conditions (firm, medium and soft). 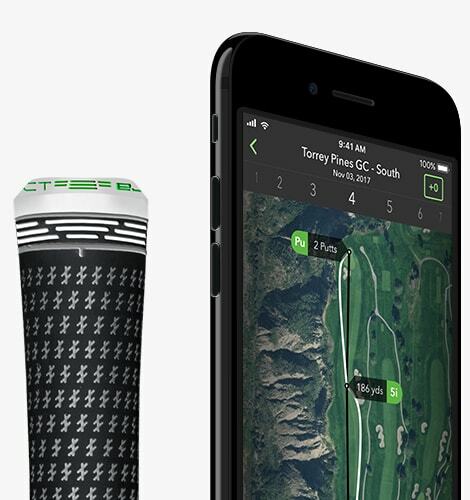 Great for golfers who tend to make medium to shallow divots. Featuring a softened leading edge and heel and toe relief, the versatile grind provides more versatility and shot choice from medium to firm turf conditions. 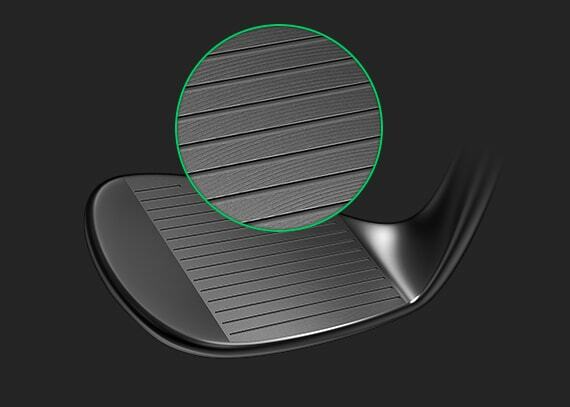 Each wedge grind is available in select loft and bounce combinations. Whether you play just 1, or up to 4 specialty wedges, this chart will help you make the proper wedge selection for a set that is perfectly tailored to your game. 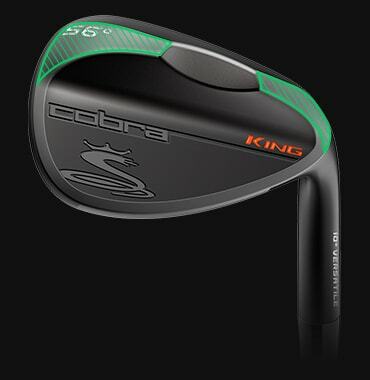 The KING Black ONE Length wedges blend precision, versatility and consistency to inspire confidence around the green.